iRobot Roomba 770 Robot Vacuum for Pets & Allergies. 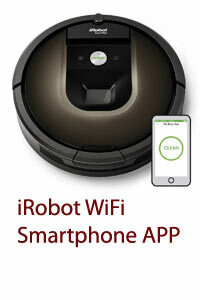 The new Roomba 770 is iRobot’s Pet vacuum with dual HEPA Filters. It is effective at getting dirt, dust, pet fur, and pet hair from a variety of surfaces using its patented 3 stage cleaning system. Its dual HEPA filters traps dust and allergens and will keep your air clean and smelling fresh. Important for those with allergies. This sophisticated robot vacuum has Dirt Detect Series 2 Technology uses both optical and acoustic sensors to identify dirtier areas and spends more time cleaning them. Using advanced software and sensors, the Roomba 770’s iAdapt technology ensures that it vacuums every section of your floor, including areas you cannot easily reach, such as under furniture. As a multi-floor vacuum, this robotic vacuum will automatically adjust to clean carpets, hardwood, tile, and linoleum floors as it moves through your home. Roomba will vacuum every section of your floor multiple times, and its advanced software allows it to get around obstacles, move along walls and to avoid falling down stairs, drop-offs, and avoid tangles from loose cords. The improved brush requires less cleaning, as the brush mechanism cleans itself most of the time. AeroVac™ Series 2 Technology: Optimized airflow pulls hair off Roomba’s brushes and guides it to the back of the AeroVac bin. Full Bin Indicator tells you when to empty the dust bin. The Roomba 770 starts working for you at the push of the CLEAN button (on the top of the vacuum). Included Virtual Walls: The included Virtual Wall® acts like a barrier and will confine the robot to specific rooms and areas, so you only clean the room or rooms that you want done. 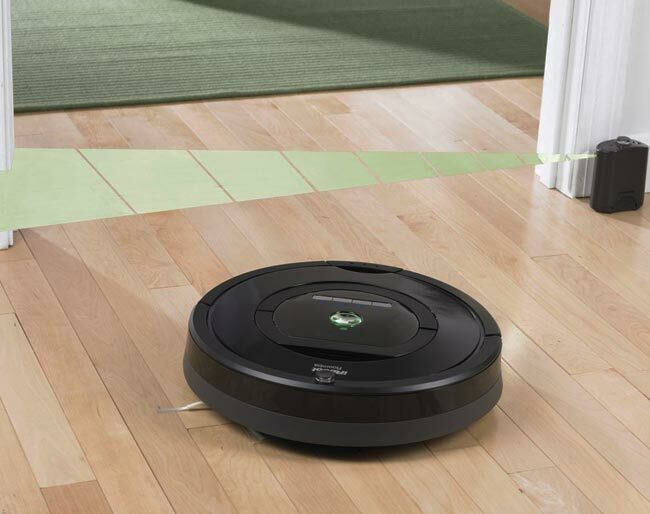 The iRobot Roomba 770 model comes complete with Two Virtual Walls. An infrared remote control allows you to operate the vacuum from your couch. The Roomba 770 will automatically return to its Home Base® to dock and recharge between cycles. What’s in the Box: 1 Robot Battery, 1 Side Brush, 1 Bristle Brush, 1 Beater Brush, 1 Self-Charging Home Base, 2 Virtual Walls, 2 extra AeroVac™ Hepa Filters, IR Remote Control, and 2 Brush Cleaning Tools. 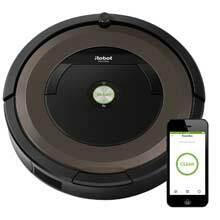 On-Board Scheduling: The Roomba 770 can be scheduled to perform up to seven cleaning sessions per week, even when you’re not home. 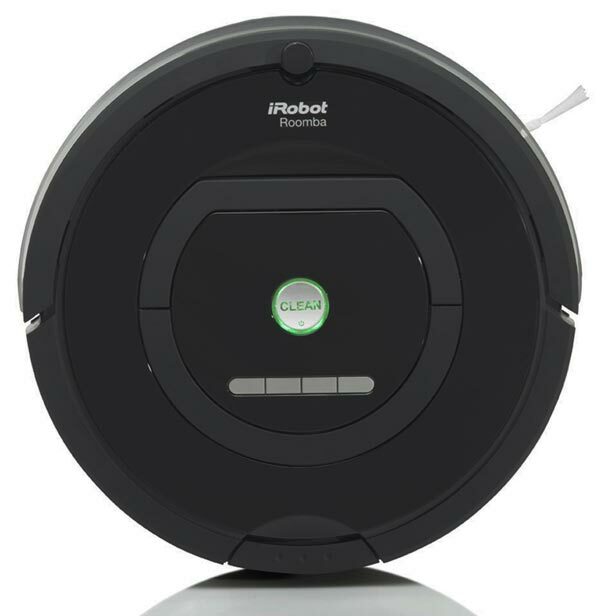 Smart-Review Commentary: The iRobot Roomba 770 is a big leap forward from the older models. Its Dual HEPA filters will filter out dust, dirt, and allergens. The 700 series uses sophisticated power management software to deliver up to 50% longer battery life than previous 600 series models. 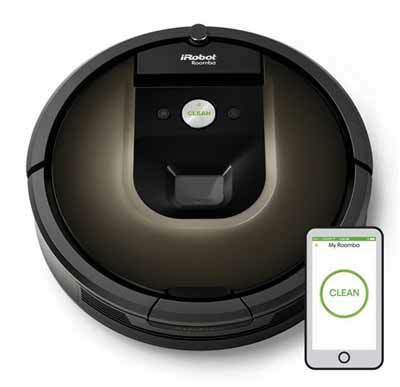 iRobot vacuums are extremely sophisticated cleaning machines, using the latest software and sensor technology to vacuum your entire floor, yet avoid obstacles. This vacuum is no toy. It will clean areas that vacuums rarely go, such as under furniture, under a bed, in corners. The Roomba 770 is better equipped than previous models to handle fibers like hair, pet hair, pet fur, lint and carpet fuzz. It is ideal for those with pets. The larger dust bin requires less emptying than previous models. This vacuum can do a comparable job to many uprights, because this vacuum goes over a dirty area many times, until clean, using Dirt Detect 2 technology. Some reviewers have even reported that this vacuums does a better job than their manual upright. If this fits your lifestyle, it is an excellent robot vacuum to clean your rooms while you do other activities. Very simple operation, just press the clean button. You also have the option to schedule cleaning when you are not home with 7 day scheduling. This model upgrades the 600 series: by adding better Dirt Detection, better AeroVac 2 technology, adding HEPA filtration, adding a dust bin full indicator, adds virtual walls, and adds a remote control. This top model has received extremely high marks from professional reviews as well as outstanding reviews by consumers. 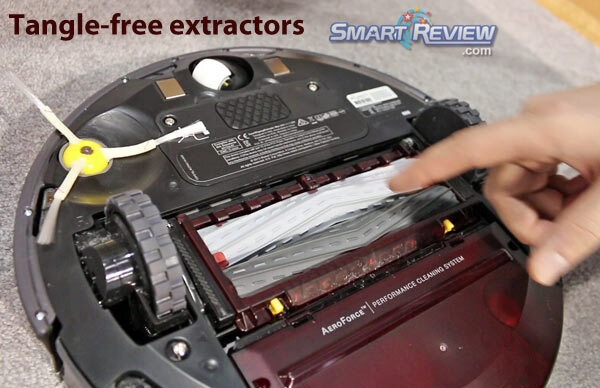 This model is a Smart-Review top pick for robotic vacuums and a great value.